Naomi Stokes, an EHS senior, took first prize for her piece, "Anthony," in acrylic paint. 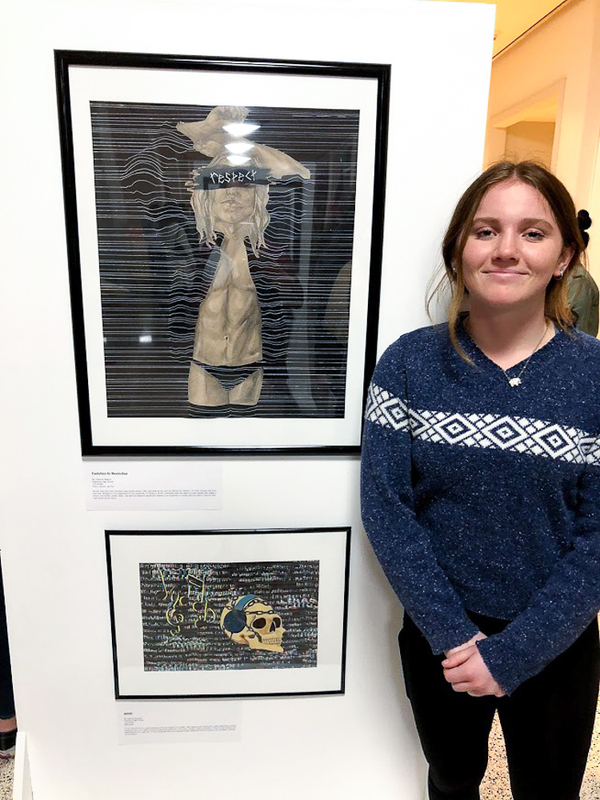 On Tuesday, December 4, the Yorba Linda Library held their 10th Annual Exposed Art and Literature Contest Awards Ceremony at the Richard Nixon Presidential Library and Museum. This contest is designed especially for teens to express their visions and ideas through art and literature. 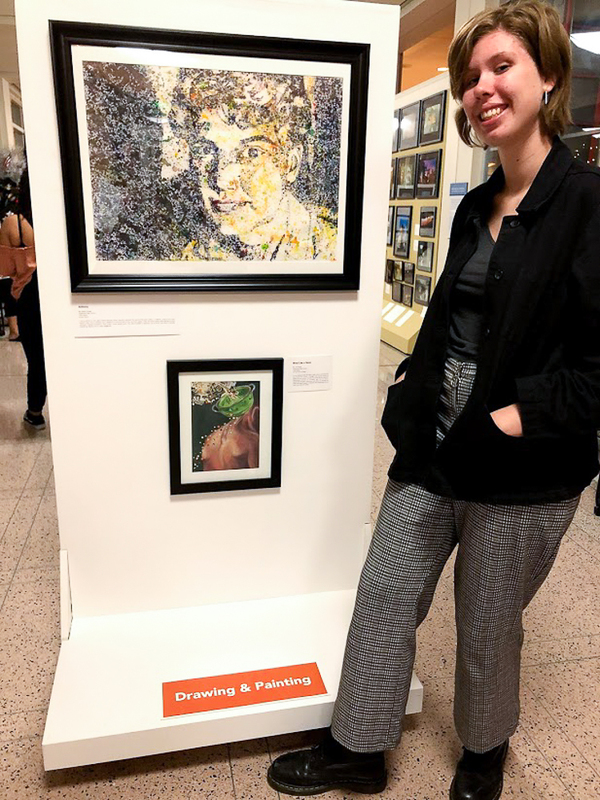 Each year, this contest is supported by the Friends of the Yorba Linda Public Library, the Yorba Linda Arts Alliance, and the Richard Nixon Presidential Library and Museum. It is open to all schools in the area. In the category of drawing and painting, Esperanza High School students won 1st, 2nd, 3rd, and Honorable Mention! The theme of this year’s contest was “Out of Focus” and each student wrote a 100 word statement of how their creative vision was interpreted. 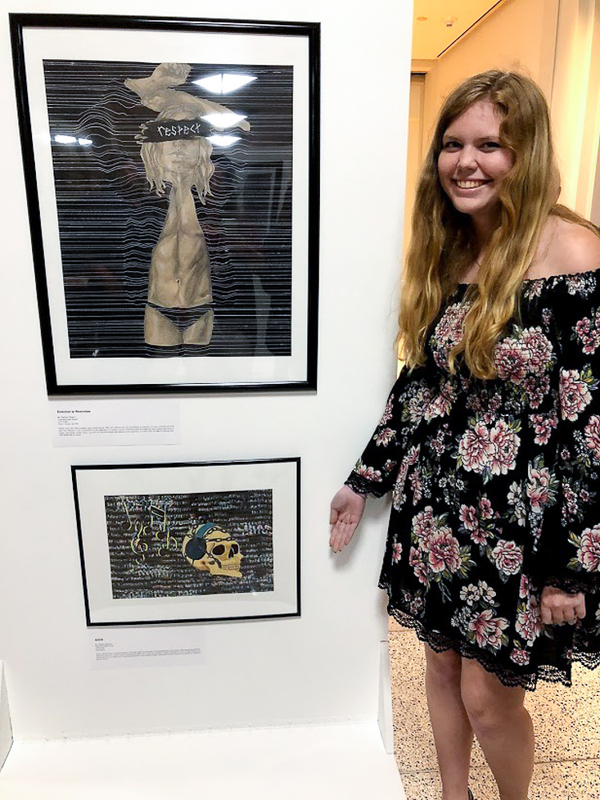 Second place, “Evolution to Revolution” by Shannon Magnin, Esperanza High School, 11th Grade, Pencil, Acrylic, Gel Pen. Third place, :Mind Like a Sieve” by Ilsa Bauer, Esperanza High School, 12th Grade, Oil Paint and Collage. Be the first to comment on "Esperanza Aztecs capture top accolades at 10th Annual Exposed Art and Literature Contest"